The 'must have' IC for 3V projects. This is the RS232 converter IC that is capable of running at 3V and communicating with 3V logic. This chip comes in a 16-pin DIP package. Requires four external capacitors. The MAX3232 can use very small 0.1uF ceramic capacitors - no more 10uF monsters! 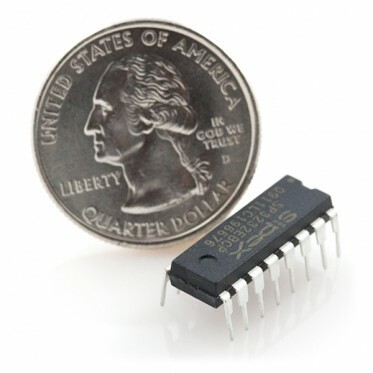 Operates from 2.7V to 6V so this DIP will work with your 5V projects or your 3V projects.